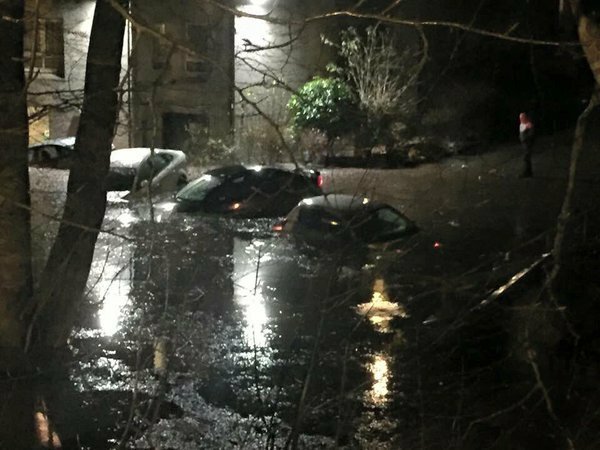 Homes were evacuated, roads were washed out and caravans and sheds washed away as Storm Frank battered the north-east today. 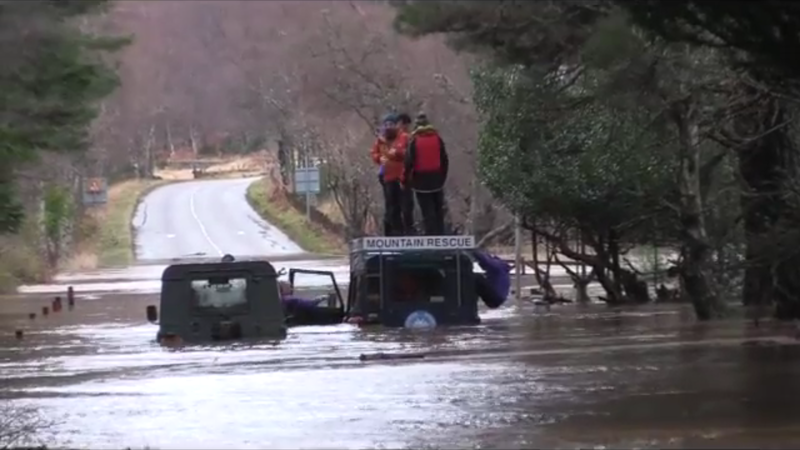 The torrential rain hit Ballater, Braemar and Aboyne worst, with the River Dee bursting its banks by late morning. 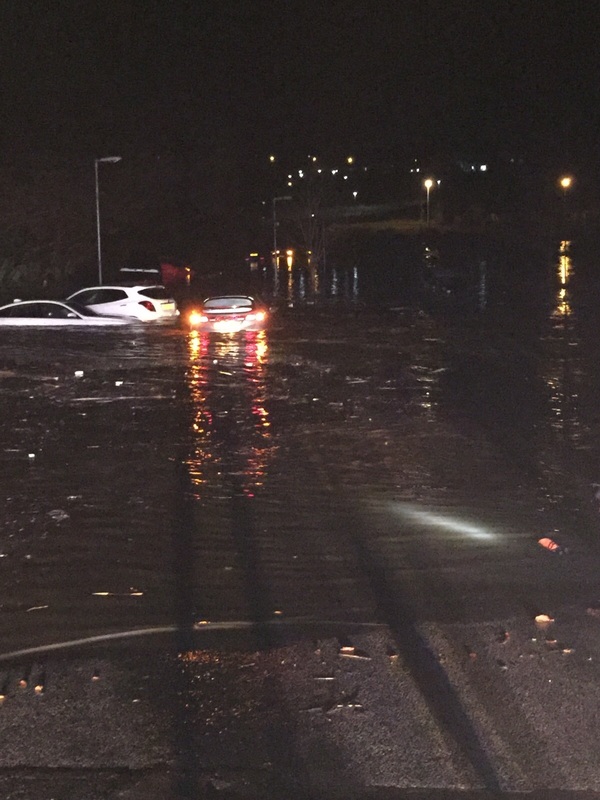 But on Wednesday night, the chaos had shifted to Aberdeen as a major search was launched amid fears a car – containing passengers – was drifting down the river towards Garthdee. 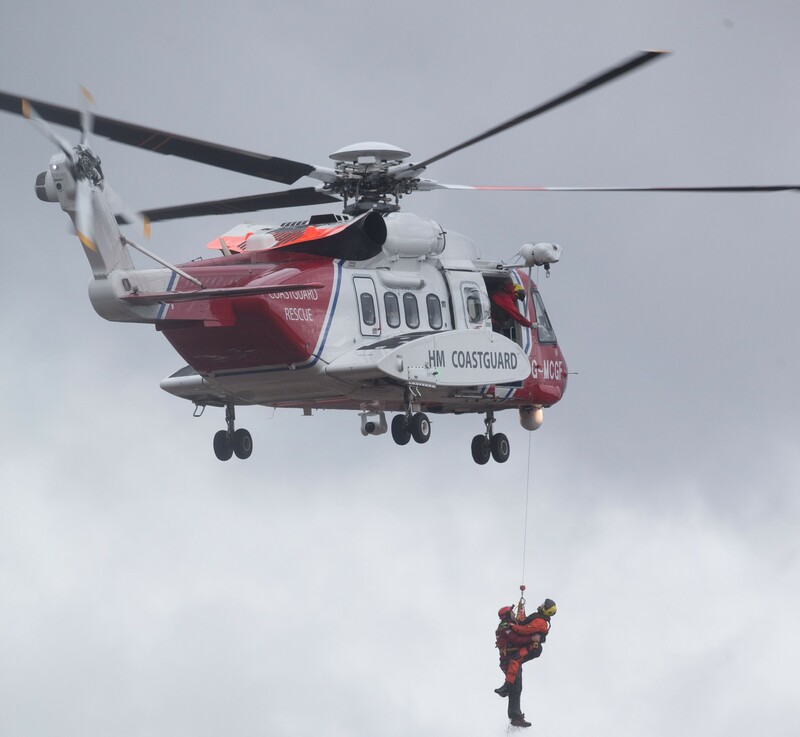 RNLI Aberdeen sent its lifeboat up the river at the request of the coastguard, and police also scrambled a helicopter to the scene. Residents of Riverside Drive and Bridge of Dee Court sheltered housing complex were evacuated, while Holburn Street and Inchgarth Road were also closed to traffic. Last night, the Norwood Hall Hotel was opened up as a refuge centre with council teams assisting anyone who had to take shelter there. 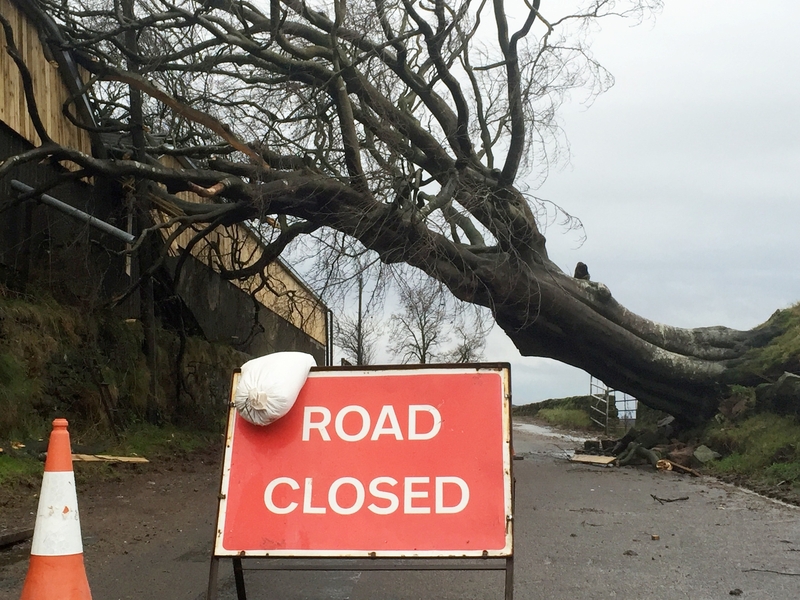 Maryculter Bridge was also shut due to damage caused by the strong current of the River Dee, and a council spokesman said it would remain closed until a structural engineer could evaluate the damage caused. 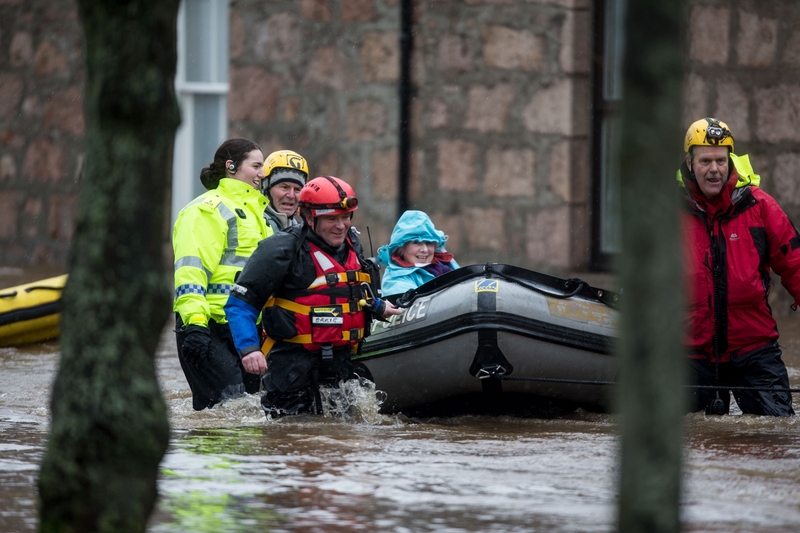 Earlier in the day, rescuers from as far afield as Elgin and Perth were drafted in to assist as residents of Braemar and Ballater fled to safety. 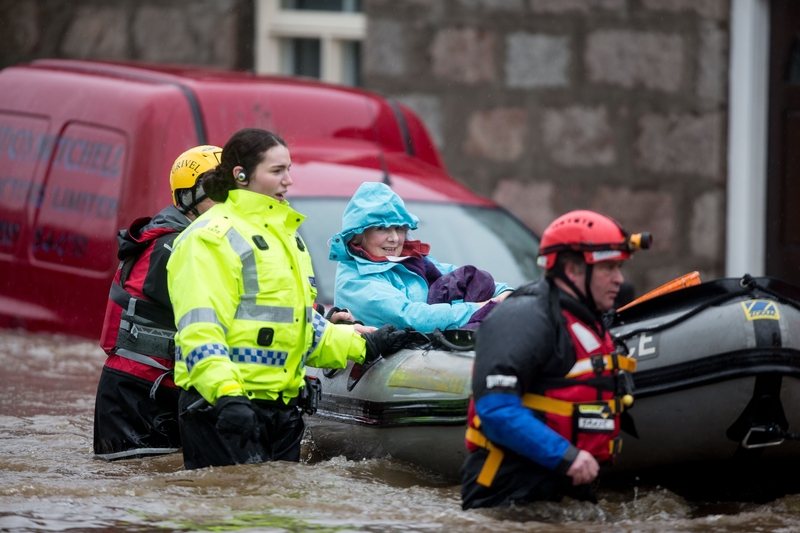 Hundreds were evacuated from their homes in Ballater with flood-stricken residents airlifted or led by boat to safety. Refuge was offered at community halls in the town as the flood waters took hold and power was lost to homes. 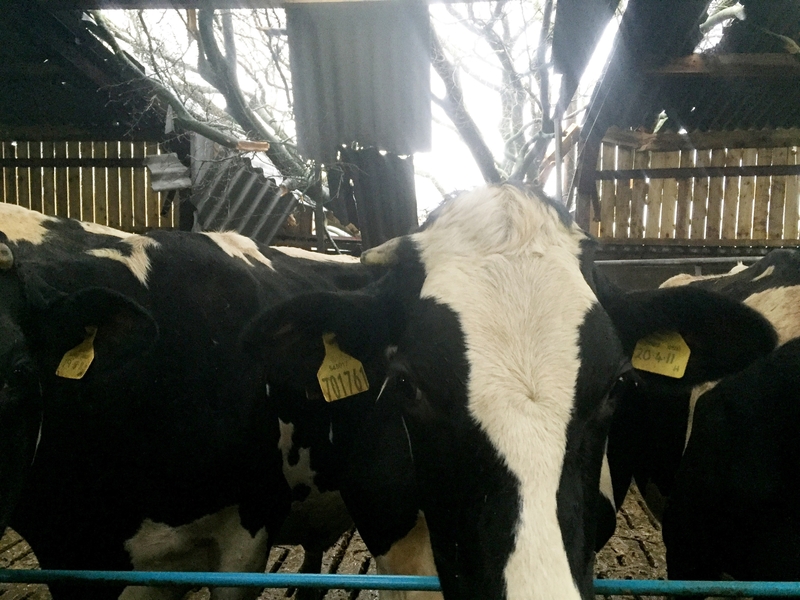 Around 1,700 homes across the north-east were without power, with Fraserburgh, Cruden Bay, New Deer, Dunecht, Buckie, and Kintore also affected. Last night, around 1,500 properties in Ballater were still without heat. 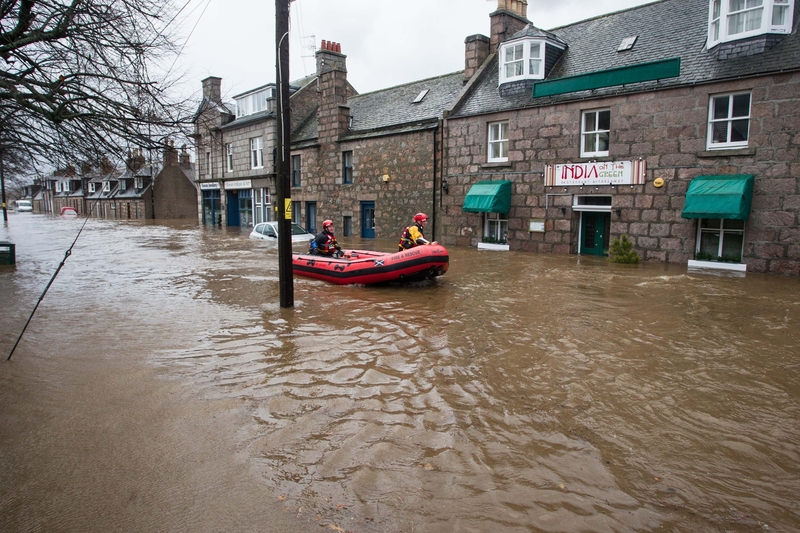 The village was closed off by around noon, with sections of the A93 Ballater to Braemar completely submerged under several feet of water. 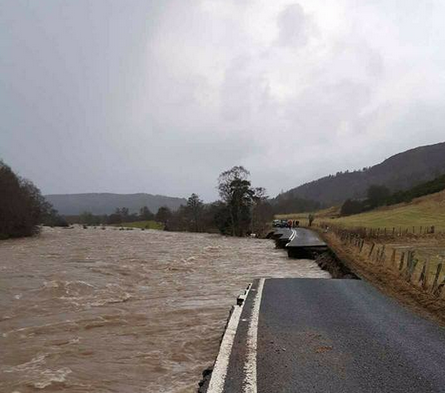 A lorry was also swept off the road near Crathie, and later in the afternoon it emerged the pressure of the river had caused a huge section of the A93 near Micras to collapse. 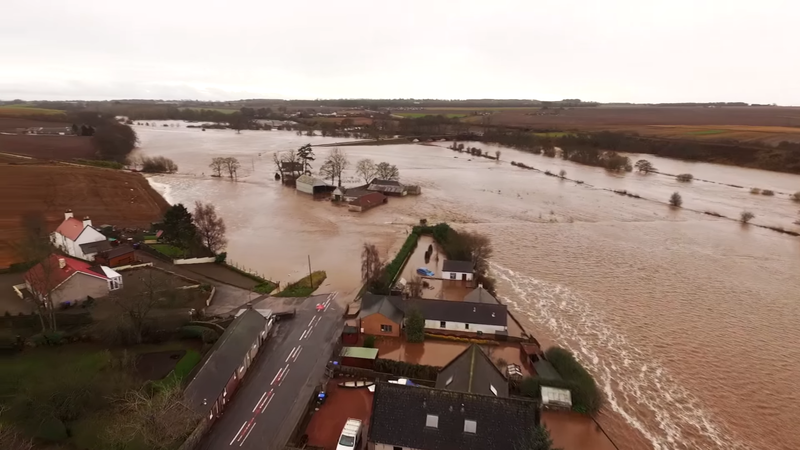 Residents spoke of seeing caravans and trees being swept past their homes by the huge “white horses” crashing down the river, and said they could not remember flooding as bad. 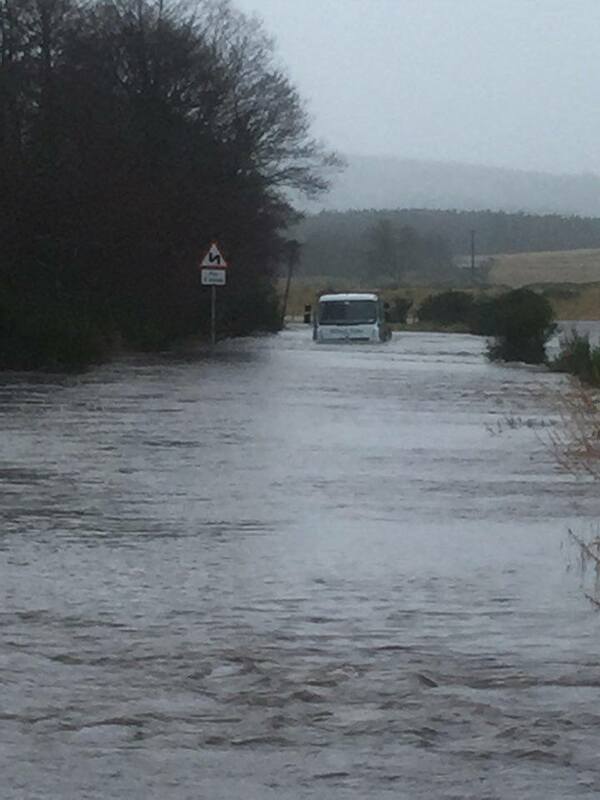 Graham Adams, of Morven Way, said: “As the morning went on, the river was rising and I could see six to 10ft white horses. Mr Adams said it had been a tough year for the village, with the Old Royal Station also being destroyed in a blaze back in May. “We already lost the railway station and now with this, it’s been a rough old year,” he said. Phil Swan was plucked to safety by rescuers as he attempted to get to the village’s Albert Road to check on a property he rents out there. “I couldn’t get down to it this morning, I had to stop at Victoria Road – the water was flowing so quickly down the street,” he said. 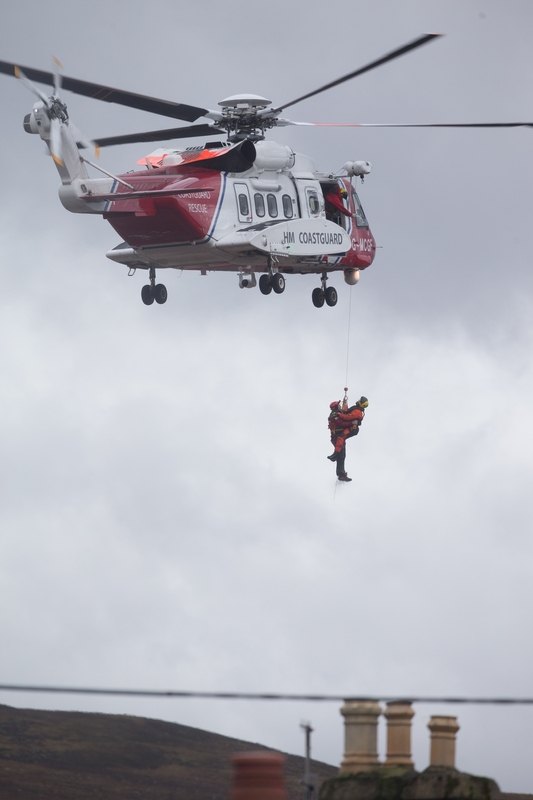 “The helicopter has been lifting people out of their homes on Deemount Road and Victoria Road. The historic Cambus O’May suspension bridge was also a risk, with water smashing against the footbridge which buckled and twisted as trees and debris whacked against the structure. One onlooker watched the drama unfold as he waited to get back along the A93 to get home. 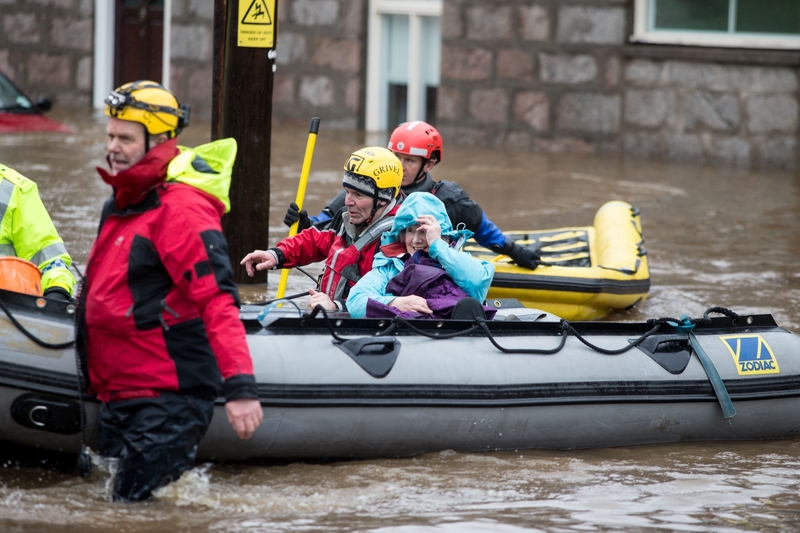 The man – whose partner had been evacuated from the village – said: “You normally get a wee bit of flooding but it’s not as bad as this,” he said. 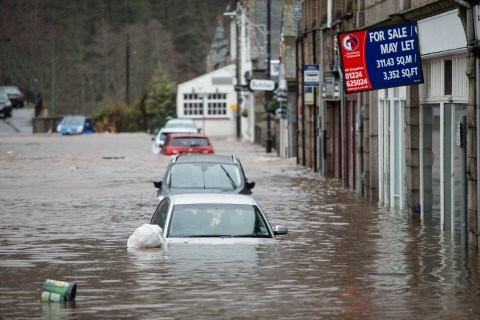 “I have lived in Ballater all my life and I’ve never seen weather like this before. 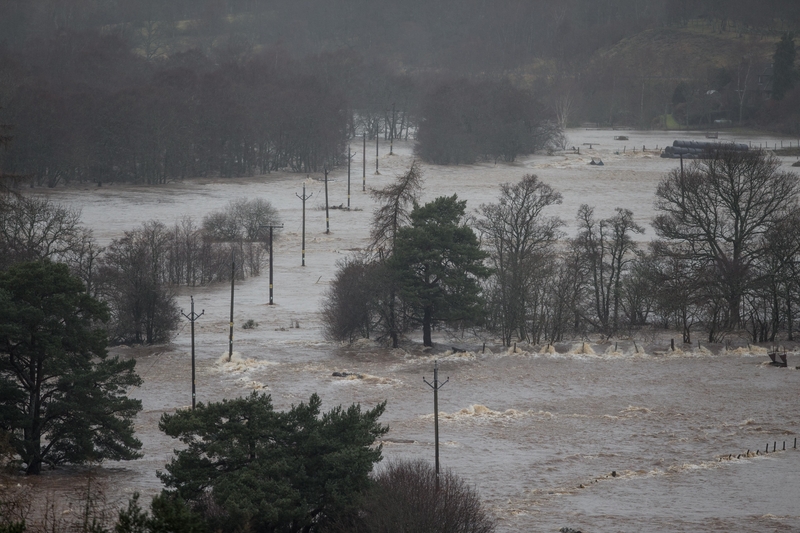 Meanwhile, in Aboyne waters continued to rise and gas canisters had been spotted travelling down the river. 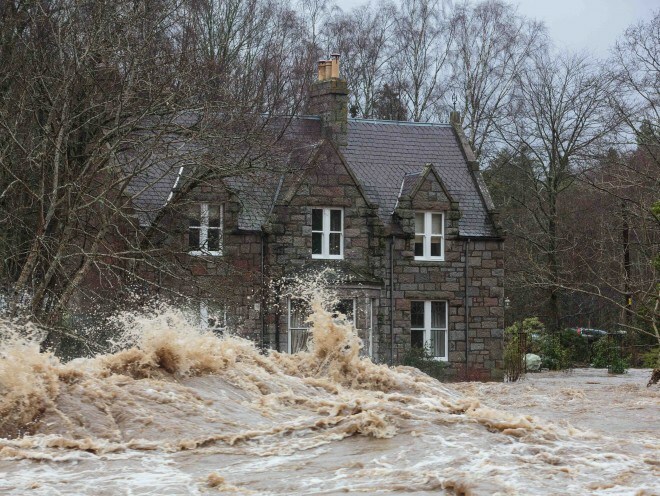 The B976 to Ballater was closed off with residents in cottages by the river stacking sandbags ready for the flood. 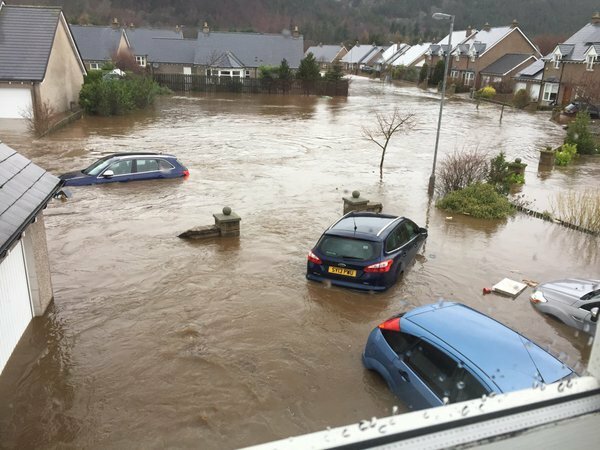 Last night Scottish Hydro Electric Power Distribution said 1,500 customers in Ballater were still without a power supply. It said it was unlikely power would be restored to the town and surrounding areas last night, but 29,000 customers had power restored since the storm hit.